The 2017 Washington State HOSA State Leadership Conference. 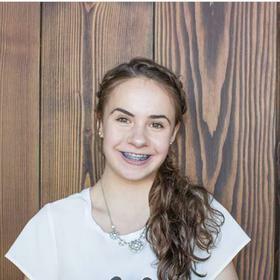 Bio: My name is Ellie Talius, and I am a sophomore at Eastlake High School. I would be honored to be a Washington HOSA State Officer next year. Last year, I first joined HOSA, and I instantly knew that the opportunities I would have in HOSA would be like no other. I competed in medical math, placed second at state and advanced to internationals. 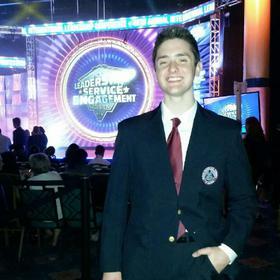 I knew that I was committed to HOSA, so I decided to take a leadership role because I wanted to become more involved. I now am a competitions officer at my high school and also serve as the Washington State Region 4 Vice President. I am truly passionate about the medical field, and have been from a very young age. Now, I have realized that becoming an orthopedic surgeon is my dream. After high school, I would like to go to college, and then eventually on to medical school. I hope to be re-elected as a state officer because I want to give to others what HOSA has given to me. The opportunities I have had through HOSA and the people I have met have made my high school experience so much better. 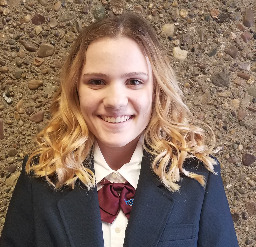 I would love to continue planning leadership conferences, working with other state officers and improving Washington HOSA by being a state officer. I hope to use my experience as a state officer to help continue to allow HOSA to grow and to make the leadership conferences better than ever before. I am willing to work hard and ensure that everything is planned as needed and that HOSA can continue to thrive. 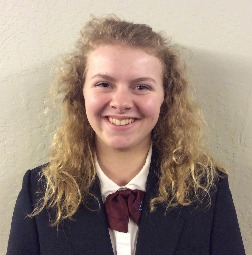 I have learned to work efficiently, and can use that skill to ensure the success of the State Officer Team and Washington State HOSA. I hope you have an amazing experience at SLC 2017 and continue to discover all that HOSA has to offer! Bio: I am a junior at Heritage high school located in Vancouver. This is my third year of being a part of HOSA, and I absolutely love it. HOSA is my passion. I received 2nd place last year in physical therapy, and traveled to Tennessee to the international competition. 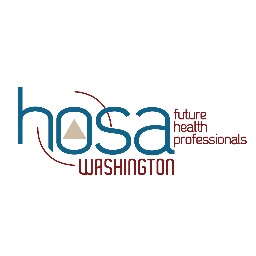 Since I have experienced both competitions of HOSA I know what I would like to do to improve Washington State HOSA to make it the best it could be. While putting in all of the time that I have towards HOSA I have also been a club gymnast for 13 years. Because of the extreme time commitment needed to be a club gymnast I know how to spend my time wisely and to be dedicated to finishing what I have started. I would love to serve on the Washington state board to make our state even stronger as a whole and to succeed at both the State competition and even more importantly the international competition. Bio: My name is Faith Jones and I am currently a Junior at Newport High School. I have been in HOSA since I was a Freshman. There are many factors that contributed to my desire to run for a WA HOSA State Officer position. I believe that with this role I would be able to travel to new places, meet new people, and continue to utilize my leadership skills as I promote health care. I have a vast amount of leadership experience that I believe would be very useful on the State Officer team. For example, I have been an avid 4-H member since I was nine years old and during that time I have served as President, Vice President, and Secretary. In June of 2015 I travelled to the WSU campus in Pullman, Washington to take part in the 4-H Leadership Conference. Within my chapter I consistently do anything that is possibly needed of me. I volunteer to be at every fundraising event and help run our school district’s blood drive. I always make sure to offer my help rather than have someone come and ask me for it. I have seen what great things the state officer team has done the last three years and I know that I want to be a part of it. I believe that I can make an impact on those around me and help bring more awareness to schools who are not yet involved with HOSA. After I graduate from high school I plan to either go to a four year college to become a public doctor or study to become a doctor in one of the branches of the military. Bio: Hey everyone! My name is Preju Kanuparthy! I am from Eastlake High School and this is my second year in HOSA. Ever since I joined the club my freshman year, I immediately fell in love with it. Before HOSA, I felt that a part of me was missing, it felt like that feeling you have when your favorite dish is made but is missing a key ingredient. Almost like your making spaghetti and meatballs but you forgot the noodles or pizza without the crust; just that one part of me was missing until I joined the club. HOSA became my 5 star gourmet dish that I began to love. I am running for a State Officer position to give you all the same opportunity I had while simultaneously impacting all of Washington HOSA in a positive way. A few of my main goals as a HOSA Officer would be to create a larger impact on the youth of the community and also the community as a whole and would do so by volunteering, focusing more on the health side of HOSA. I would like to expand Washington HOSA to a point where the venues for the competition are filled shoulder-to-shoulder with the nation's upcoming medical oriented students. Some of my skills that I bring to the table are my friendliness, outgoing personality, leadership skills, ability to communicate well, organization and many other abilities. All in all, I am here to revolutionize Washington HOSA and make your experience better. Remember, Vote Preju! Bio: My name is Brianna Menge and I attend Emerald Ridge High School. This is my first year being part of HOSA and I have dedicated most of my time to participating and volunteering for HOSA. I am planning on being part of the association again next year. 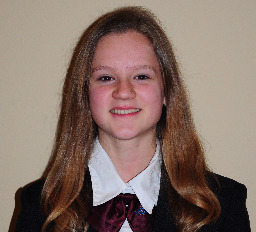 I am running to be a HOSA Officer because I want to get more involved in the medical field, as well as the community. I also want to take on a leadership position, and further my education in the medical field. I will bring my leadership and communication skills to my position in the association. I will also bring my positive and energetic attitude to every activity associated with HOSA. As well as my caring, friendly, open mindset. If someone has an idea to bring to the association or even a problem they can bring it to me and I will voice their idea or help resolve the problem at the best of my ability. By being part of the team I will bring my dedication to the medical field as well as the community and put forth all that I can to make HOSA better and help students grow in their passion for their future career. Bio: I am Erika Moore and a junior at Newport High School. Over the past three years, HOSA has provided me with opportunities to become a leader. My freshman year, I joined HOSA, competed at the State Leadership Conference, and attended the International Leadership Conference. Last year I served as treasurer for my local HOSA chapter. I placed second at State in the Healthy Lifestyle competition and went on to compete at Internationals. This year I am serving as both vice president of my HOSA chapter and HOSA representative for my school's ASB. As a local HOSA officer, I help organize blood drives and fundraisers. In addition I have acted as a hostess for two years at a fundraiser for HOSA and the Newport Hospital and Health Services Foundation. I have maintained great balance between the demands of sports, schoolwork, and family. Becoming a HOSA state officer would be an amazing addition to the fulfilling and growing experiences I have had in HOSA thus far. HOSA has been a vital part of my high school experience. I am very outgoing and enthusiastic both of which allow me to state my ideas, listen to those of others, and reach consensus. I work well under pressure, and I am calm in stressful situations. I also enjoy getting to know and working with diverse people. I have high expectations for myself and work hard every day to meet or exceed my goals. I have taken a variety of challenging classes, including three years of biomedical science courses, while maintaining a 3.945 GPA. Because of HOSA I have had unique opportunities to travel and learn. I would love to join the HOSA leadership team to help share these learning experiences with others and give back to the organization to which I am so indebted. 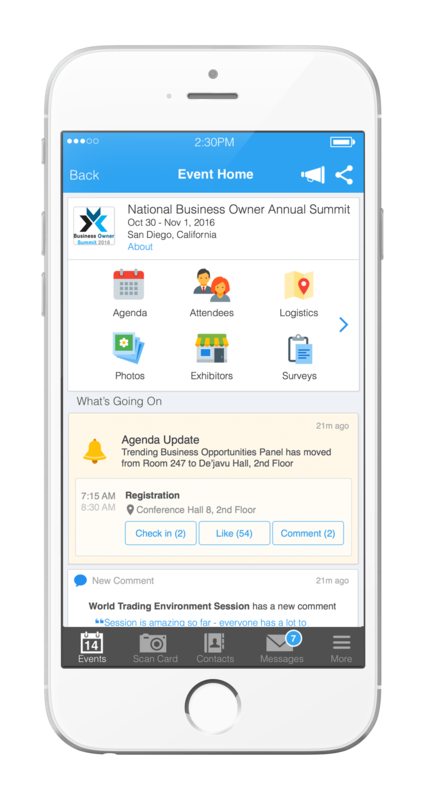 Attendees please download Whova event app, to access the information of all 25 speakers.